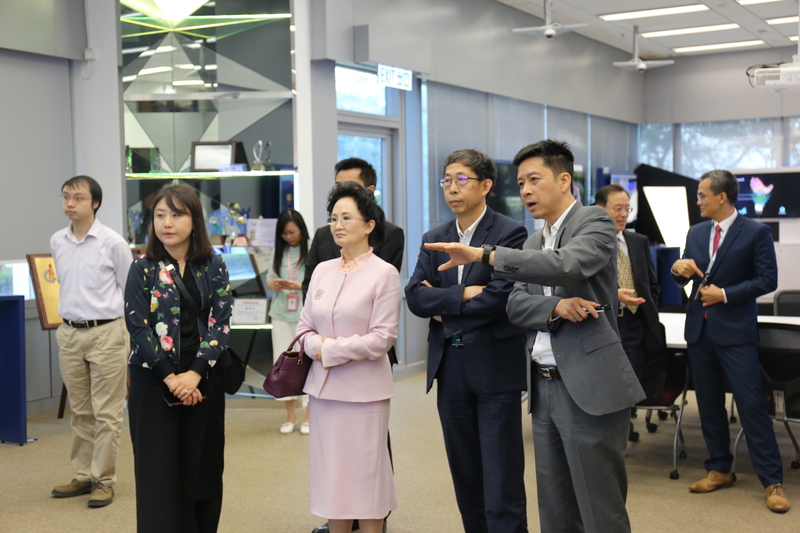 A delegation of China Advanced Semiconductor Industry Innovation Alliance (CASA) led by its Chairperson Ms Wu Ling visited ASTRI on 29 October 2018. Ms Wu was accompanied by Mr Liu Zhiming, Deputy Inspector, Department of Education, Scientific and Technological Affairs, Liaison Office of the Central People’s Government in the HKSAR. Mr Hugh Chow, Chief Executive Officer, Dr Meikei Ieong, Chief Technology Officer, and Dr Daniel Shi, Senior Director, Electronics Components welcomed the delegates to ASTRI premises. During the visit, Ms Wu discussed the development of China’s semiconductor industry in the past decade including the establishment of CASA three years ago, as well as the recent launch of China’s 3rd generation semiconductor power electronics roadmap (ITRW), of which ASTRI has taken part in the development process. Ms Wu also talked about China’s vision for future development of the 3rd generation semiconductors. Mr Liu Zhiming pointed out that Hong Kong can leverage its unique advantages to strengthen the R&D collaboration between Mainland and Hong Kong. The aim is to contribute to the national aspirations for a leading international position in innovation and technology. Development in the advanced semiconductors sector will be a key enabler to that.